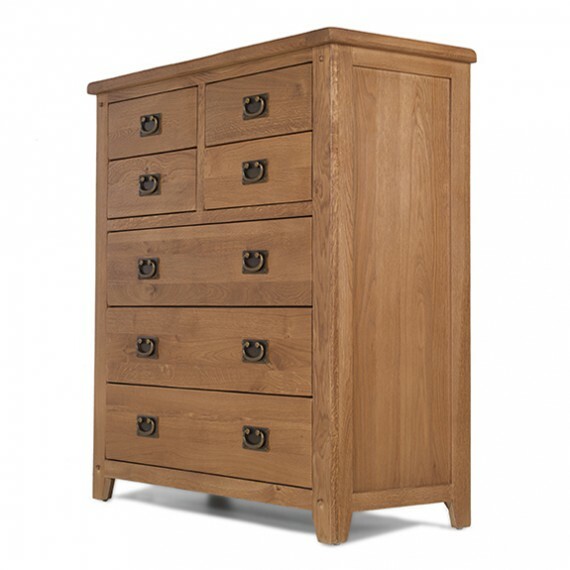 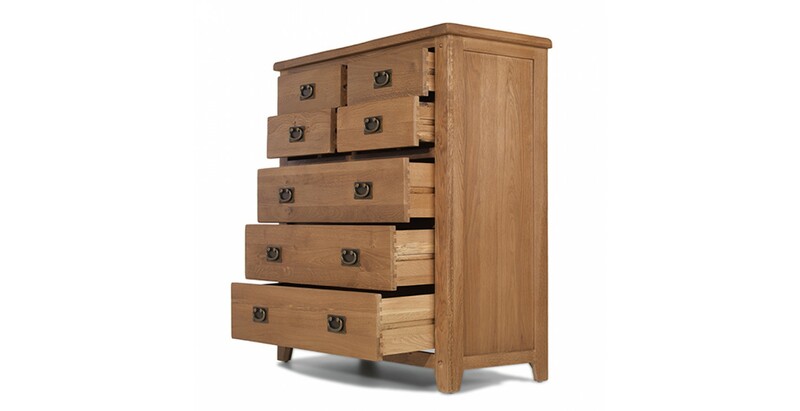 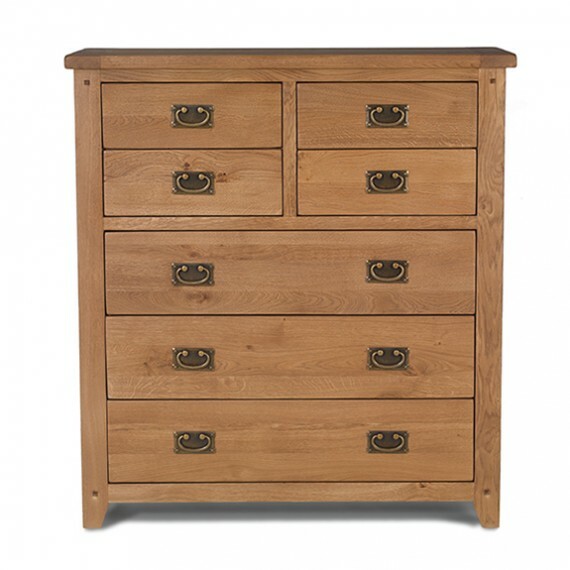 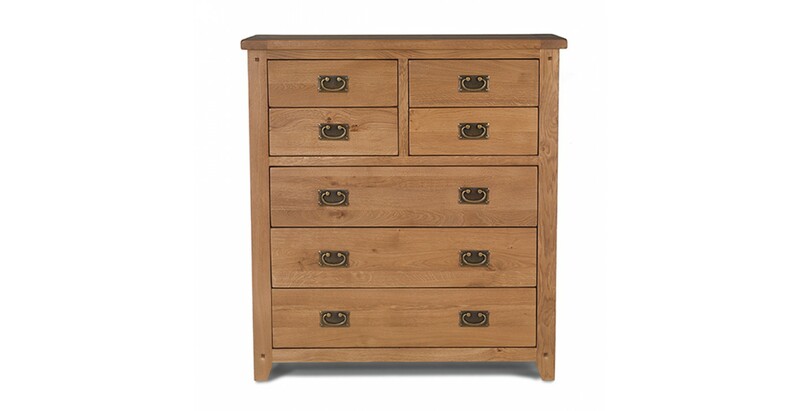 Perfect for contributing to a country-style feel in your home in combination with other pieces from the Rustic Oak range, there's a lot to admire about this beautiful and practical chest. 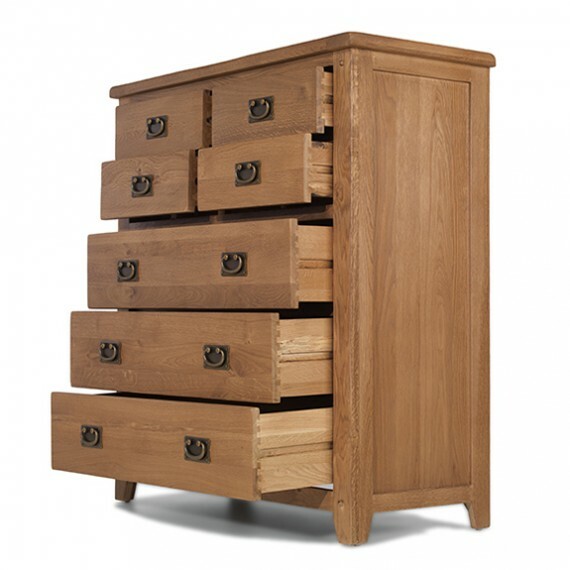 Three full width drawers at the bottom will take care of all your jeans, jumpers, T-shirts and other bulkier items, while the four smaller drawers at the top are ideal for all your socks, underwear and accessories. 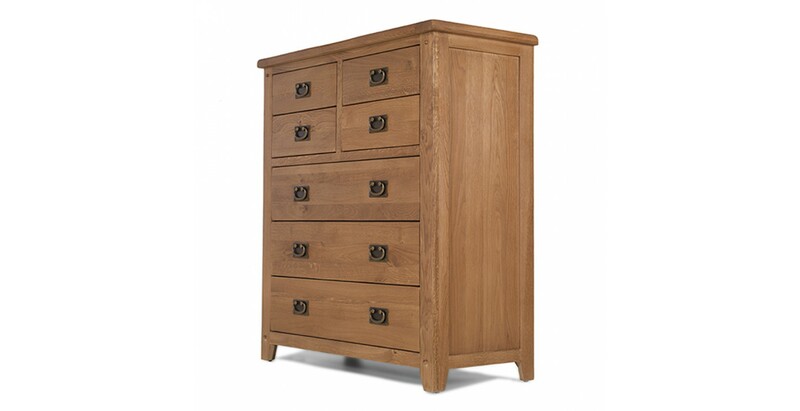 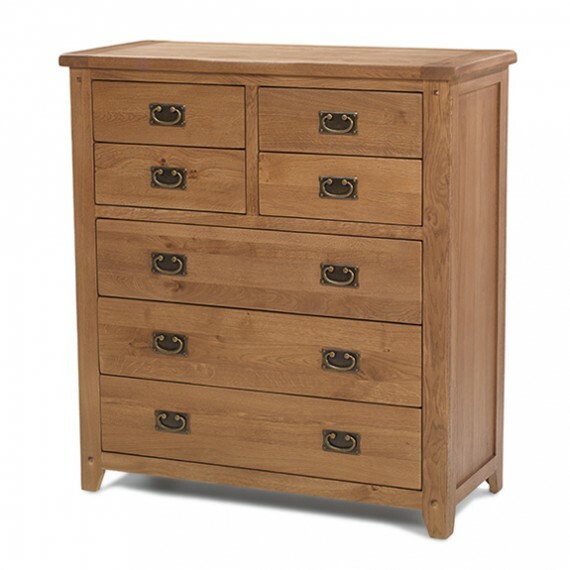 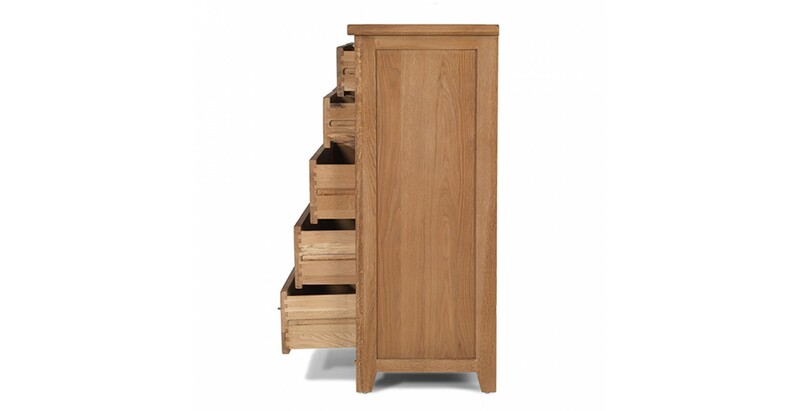 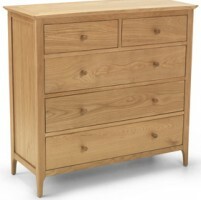 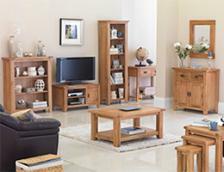 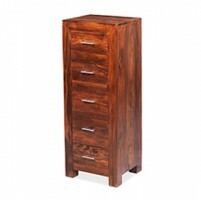 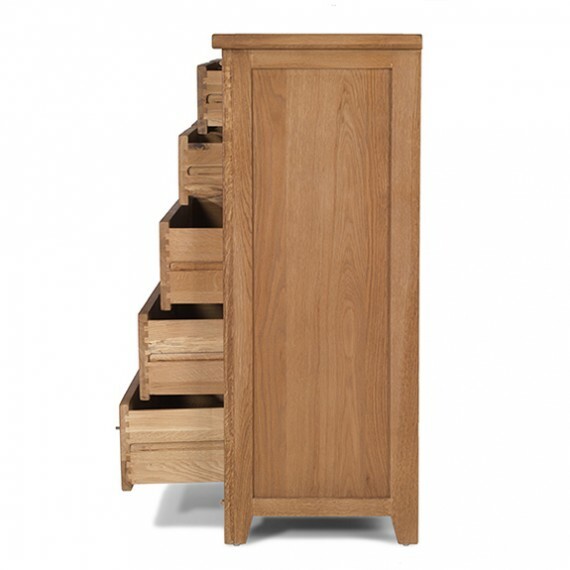 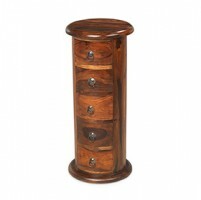 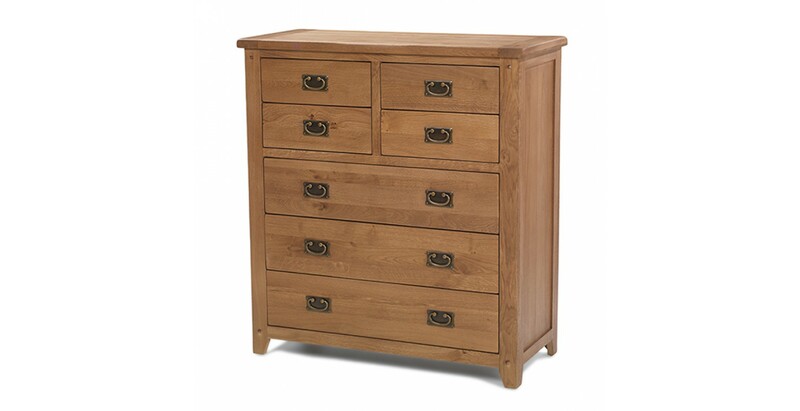 Crafted from chunky oak, its rustic appearance is brought out to perfection by a natural lacquer and details like the subtle pegs, rounded corners and vintage-effect drop handles reinforce its appeal.